I am back!!! And have moved to Memphis, TN, my parents are here for a vacation and I am finishing up my dissertation and plan to defend soon. 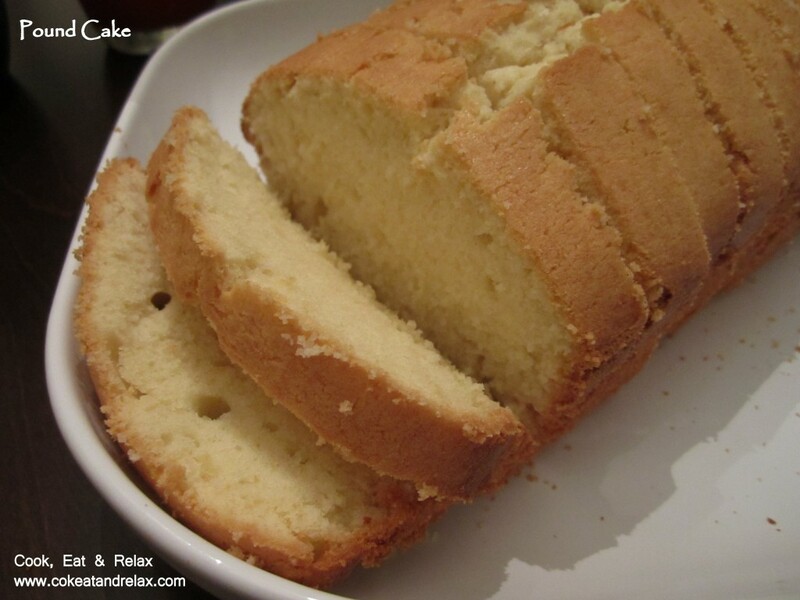 So I may not be in a position to post too often but I had to post about this pound cake recipe. The cake was absolutely delicious. It was moist and flaky and just the right texture and just the right amount of sweetness. I hope you like it as much as we did. And I think I do have atleast 5 other people who had the cake and would attest to the fact that it was really good. And yes, it took me about 20 mins of prep time and another 40-50 mins to baking time from start to finish. Without much more ado, here is the recipe for the cake. Oh and how can I forget to thank the blog where I found the recipe. Here is the original recipe, http://www.joyofbaking.com/PoundCake.html. Preheat the oven to 350F and place a rack in the center of the oven. Sift the dry ingredients together and set it aside. Next beat the wet ingredients together except the butter and set it aside. Now soften the butter if not at room temperature and add the butter to the dry ingredients and beat at a low-speed for about 30 seconds. Now add the wet ingredients to the dry ingredients + butter mixture in three batches. After the first addition beat the mixture for about 30 seconds on a slow speed and then increase the speed and beat for another minute. Now add the second and third batch and beat the mixture for 30 seconds after each addition. Next transfer the batter to the loaf pan and place in the oven for about 45-55 mins. My cake was ready in about 50 mins. If the top of the cake starts browning too fast, cover the cake with an aluminum foil and continue baking till a tester in the middle of the oven comes out clean. Once the cake is ready, cool the cake for about 15-20 mins before slicing it. A buttery, flaky slice of heaven is ready for you to devour in less than an hour. The cake stays outside for a few days and does not spoil and can stay fresh for about a week if kept in the refrigerator and can be frozen for about 2 months. But well I did not have to worry about all that, the cake was cleaned out in a day and a half. Hope you enjoy the cake as much as we did. 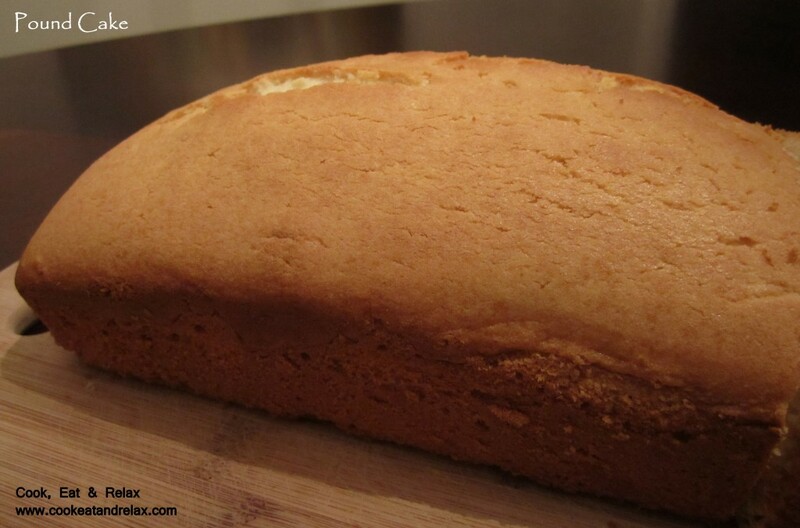 It is a really simple recipe to follow and bake and the cake itself is delicious. 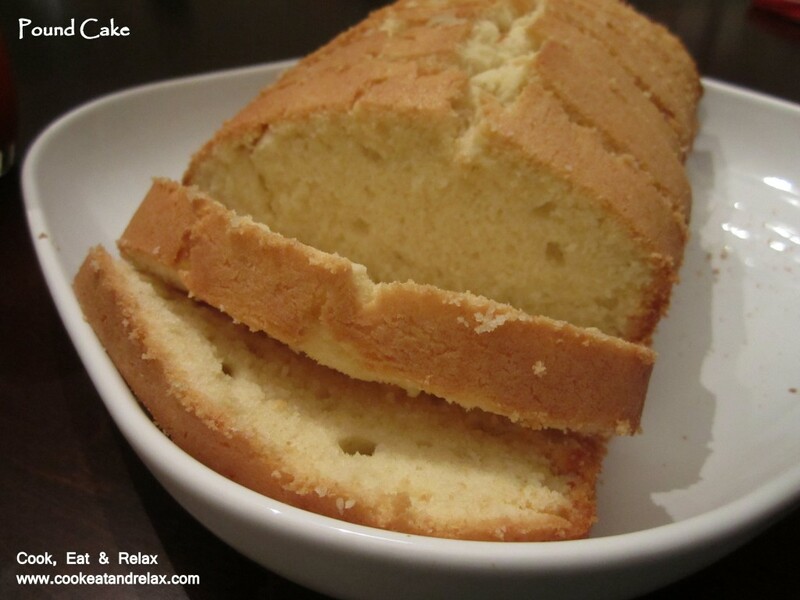 This entry was posted in Baked Treats, Recipes and tagged joy of baking, pound cake, vanilla. Bookmark the permalink.